This spring, mix fashion and functionality with a watch. Here we are at that weird intermediate period between winter and springtime where we look out the window and see the beautiful sun peeking through the picturesque clouds and decide to throw on a few fashionable layers… until we come downstairs to go outside and realize it’s cold as hell and we need to be in full-blown winter jacket and snow boots mode with an infinity scarf wrapped from our shoulders up to our earlobes. The key to this strange fashion time? Like I mentioned above, fashionable layers. And part of creating the full look is about how you accessorize. Living in New York, it’s important to not have to carry around anything more than you actually need. A watch can double as an accessory that is both fashionable and functional. It’s completely necessary in the city during days with hectic schedules. I’ll admit, I hadn’t actually worn a watch in years. This one, however, was different. It was like, calling my name. I love the detail of it, so clean and classy. In this picture I’m wearing the Cassia – Olive & Aegean Blue watch from JORD Wood Watches. “Intelligent design pairs with classic styling to create a piece worthy of your wrist and welcome in your jewelry wardrobe,” according to the JORD website, and I couldn’t agree more. I especially love the design’s Roman numerals. 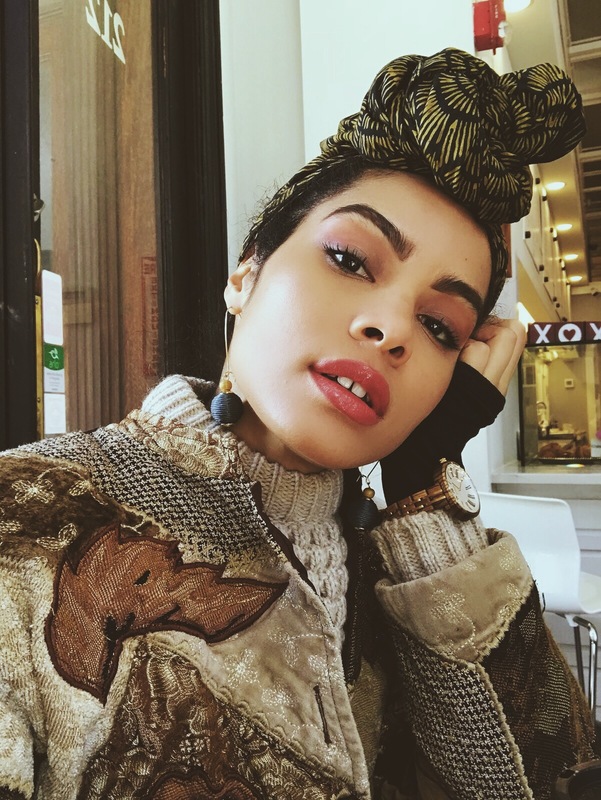 I paired it with my oversized patchwork sweater, which was over a long sleeve athletic thumb hole shirt and boyfriend jeans over comfy leggings. I rocked the watch on the outside of my sleeve so that it was easy to read the time — and because it connected the look. 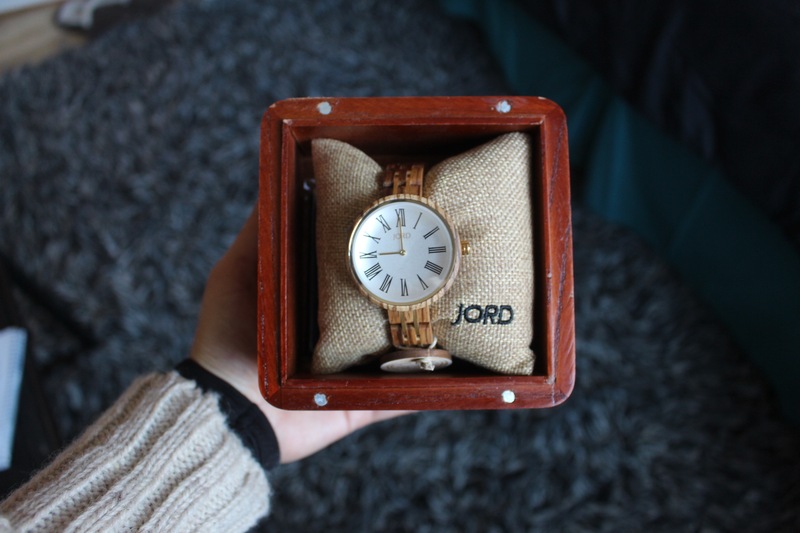 You have until April 1 to enter to get either $100 or 10% off your own JORD Wood Watch. My current personal favorites are the “Fieldcrest – Maple” and the “Frankie – Dark Sandalwood & Emerald” styles. Simply enter here to make your selection.